If you don’t know the name of Issey Miyake, don’t be too concerned. He’s a well-known Japanese fashion designer, but his work is largely known in certain circles that lean to the unusual and border on the avant garde. He created a design studio in Japan in 1970, and since then has become known for men’s and women’s fashions that are sometimes a bit …out there. The criteria for every product developed by ISSEY MIYAKE WATCH is that it must have a fresh new design, it must be an analog watch, it must be made in Japan and the designers themselves must be involved in the package design. These watches are beautiful, well made and visually interesting and they’re also reasonably priced so that they’re not going to put you in the poor house. Read on for the full Issey Miyake watches review. The build quality is quite good, and that won’t surprise you once you realize who manufactures them. 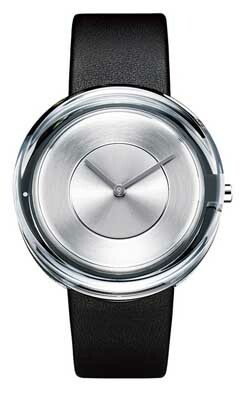 Issey Miyake watches are made by Seiko, one of the world’s most reputable and reliable manufacturers of wristwatches. 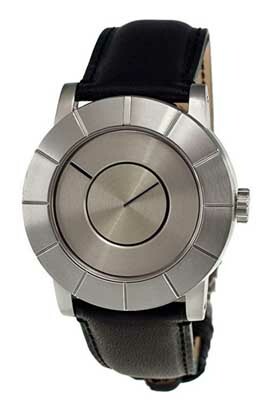 The designs are by Issey Miyake, and the build is by Seiko, resulting in a pretty solid watch. Cases are stainless steel, and bracelets are either stainless steel, leather or occasionally, as a design feature, plastic. The watch face is protected by either mineral crystal or the harder and more scratch-resistant sapphire crystal, depending on model. Water resistance also varies by model, but some models are rated at 100 meters or more. Movements used are either automatic (self-winding) mechanical or quartz electronic movements, both sourced from Seiko, who manufactures the watches. Seiko movements are well made and reliable. You won’t find much in the way of feature innovation here; they’re all about styling. Most of their models feature time-only, chronograph or perhaps a date complication. It’s the styling that matters, and the Issey Miyake watches design team works to create unique timepieces that look good while not looking anything at all like any other watch you own. You’ll find several hundred different models for both men and women, in styles that range from traditional-ish to absolutely cutting edge. They offer the full range of colors, and bracelets in steel, leather and plastic, where warranted, mostly for their “bangle” models for women. 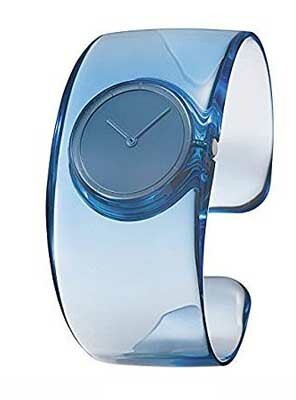 The make a number of women’s watches with translucent bracelets, and a few men’s models with unusual case shapes, including the rectangular dual time zone model. You’ll find casual watches, sporty watches, and watches that will stop traffic if you wear them to a party. Case sizes for men top out in the 45mm range, mostly for chronographs, though they make a few with 38mm cases. Women’s models are smaller, ranging from about 27mm in size to as large as 40mm for a few models. We didn’t see any precious metals or gemstones in the Issey Miyake watches line, so if you’re looking for bling in your wristwatch, you’re likely out of luck. Many of the company’s watches have electronic quartz movements, so maintenance will be minimal. You will need to have the battery replaced every 2-3 years. For mechanical models, you will likely want to have them inspected by a jeweler every 4-5 years to ensure that everything is working correctly. We haven’t seen a recommended maintenance schedule on the company’s Website, but the manual may offer suggestions for routine maintenance. As with all watches, you should store your watch away from extremes of temperature and strong magnetic fields. With proper care, your watch should run well for decades to come. When you purchase, you will receive a two year warranty against defects in materials and craftsmanship. This is the standard warranty in the watch industry; nearly all manufacturers offer a two year warranty. As these watches are well-tested at the factory and are built with reliable movements, defects are likely quite rare. The prices are fairly reasonable, especially when you compare them to other designer watch brands that focus on edgy design. Prices range from a low of about $200 to a high of about $3500, though most models fall into the $200-$600 range. That puts them in the moderately expensive range, but still keeps them affordable for a large number of buyers. You can find them for sale at a few brick and mortar stores, especially higher-end department stores that carry the brand’s fashions. As these watches are fashion accessories, don’t expect a clothing store to carry the full line. Still, most should have a good representative sample. For a better selection and to get better pricing, you’ll definitely want to shop online. The brand is carried by a number of larger online watch retailers, and shopping online will give you your best opportunity to buy discount Issey Miyake watches. Keep in mind that the product line includes several hundred models, so no retailer is likely to have them all. We’ve reviewed several hundred different watch companies since we put this site online, and 95% of them make watches that look relatively similar to all of the others we’ve reviewed. These watches are different. The company is focused on design, rather than features, and they have some strict rules about what their watches should include. This company’s watches have designs that are attractive and edgy, while not being so far out there that you don’t know what you’re looking at. They’re well-made, reliable, and priced so that they’re going to be affordable for most buyers. 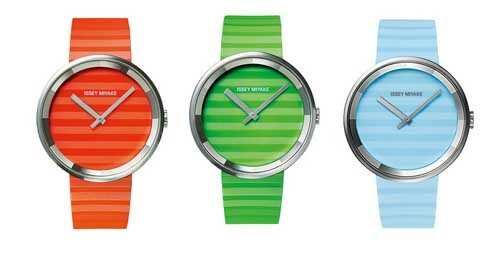 If you’re looking for a timepiece that’s truly different, Issey Miyake watches are well worth a look.